Pull up a chair and get ready to stencil! 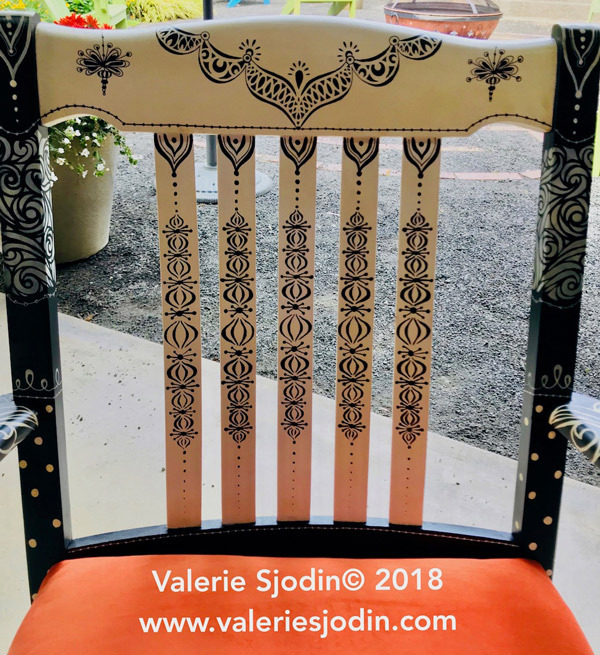 You'll find that this collection of stencils by Valerie Sjodin allow you to embellish your art projects with a hand-painted look. 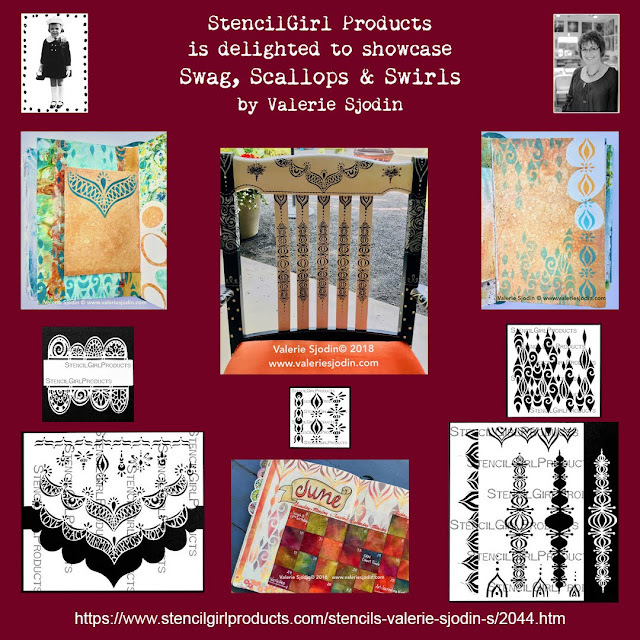 Valerie Sjodin designed this Swag Borders and Dangles stencil with a mask to work with a multitude of applications. Its swag border is suitable for furniture, journals, envelopes and more! The dangles can be added to any border and personalized with a pen. 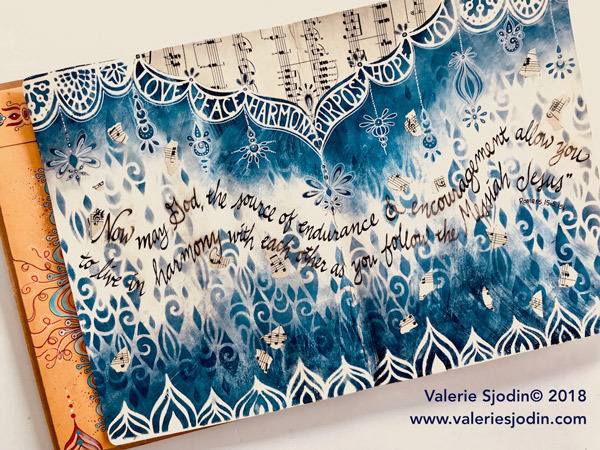 Valerie Sjodin's Scalloped Border Mask stencil is quite versatile! Scalloped Border Small Mask, S644, 6"x6"
Similar to the width of washi tape, the little borders of Valerie's Swag Border Mini Repeat, add pattern and interest to the edges of cards, journals, and artwork. They can also be used for additional dangles. Add your own pen flourishes for a more personalized look. Swag Borders Mini Repeat, M217, 4"x4"
It's a new twist on diamonds and swirls! 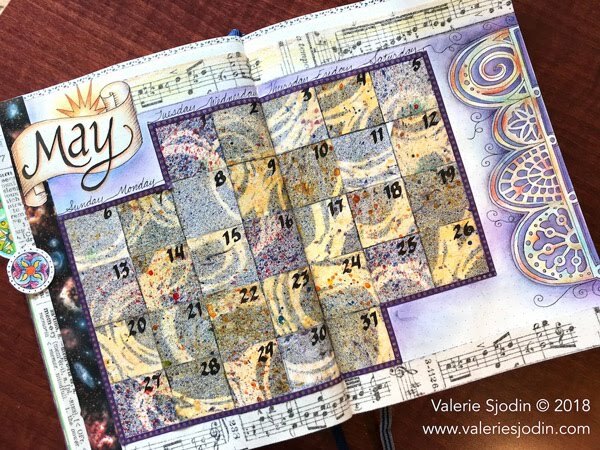 Add mystery and style to any piece of art with Valerie's Drops and Swirls Repeat Stencil. Valerie gave a new twist on diamonds and swirls. 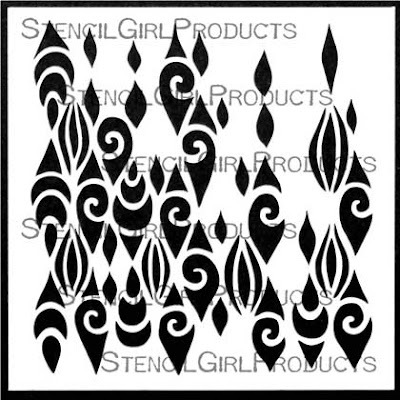 Drops and Swirls Repeat, S645, 6"x6"
The interior of Valerie's Pointed Scalloped Borders stencil is enhanced with an Eastern European/Middle East flair and features a mask you can snip out. This tool can be a focus feature. 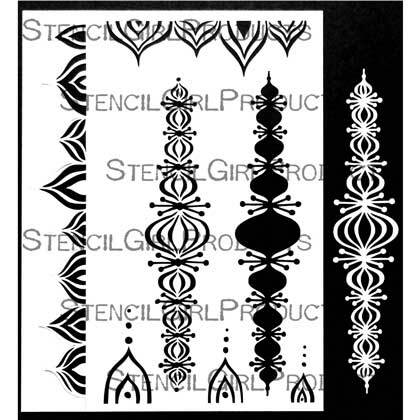 The repeated border that stands alone or mixes well with Valerie other stencil designs. 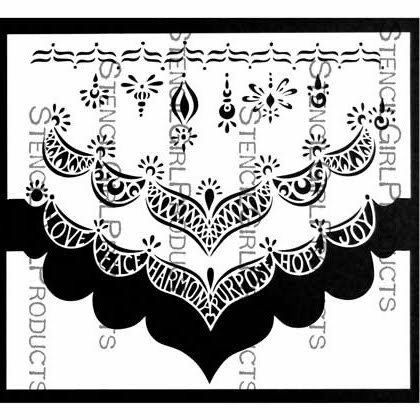 Pointed Scalloped Borders Stencil & Mask, L649, 9"x12"
Discover all of Valerie's stencil designs here. 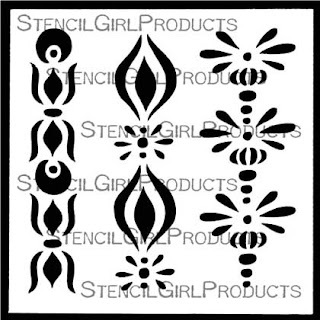 What will you embellish with these pretty stencils? Omgosh!! 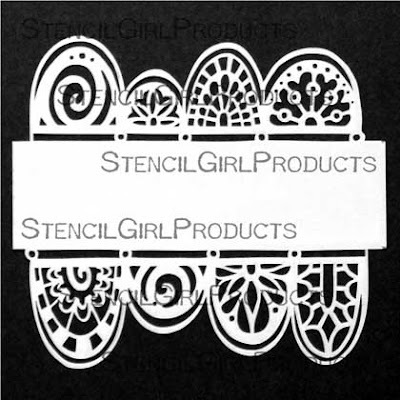 I totally LOVE these new stencils! Gorgeousness!! 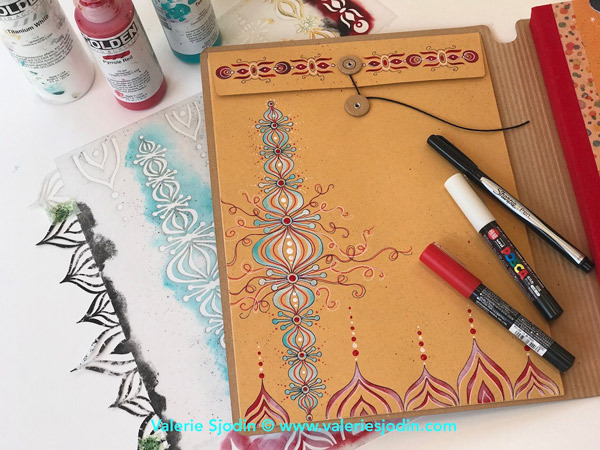 It's a good thing that I already own a small stash of these journals... Love the stencils and the painted journal! ok that chair is the bomb!!!!!!!!!!!!!!! .. great post.. love these wonderful ideas.. thank you for the inspiration.